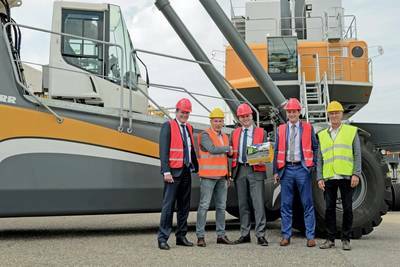 The Dutch logistics service provider Kloosterboer and Liebherr Maritime Cranes mark their 20 years of partnership with a port equipment order comprising a new mobile harbor crane and a new reachstacker. Kloosterboer, founded in 1925, provides logistics services in Western Europe for temperature controlled food products. The Dutch family company with more than 800 employees in nine locations in the Netherlands and six abroad is now managed by the third generation. The growth of Kloosterboer is closely linked to the sizes of their Liebherr mobile harbor cranes. 20 years ago two LHM 100 with a maximum capacity of 40 metric tons started operation at Kloosterboer. In 2003 a Liebherr LHM 320 with 70 metric tons SWL joined the company and only three years later, in 2006, an LHM 400 with 104 metric tons capacity became operational in Vlissingen. In the past two and a half years, Kloosterboer’s branch in Vlissingen became the new European center for bananas as the giant Chiquita decided to land their tropical fruits in the port of Zeeland. Hundreds of thousands of boxes are unloaded through Kloosterboer weekly and afterwards distributed from Vlissingen into Europe. Furthermore the world’s third largest container carrier CMA-CGM made Kloosterboer Vlissingen its last port from the Benelux to West Africa (EURAF service), which resulted in a serious increase of container moves. Kloosterboer’s growing business consequently increased the demand for cargo handling equipment. After 20 years of partnership, Liebherr was the first choice. 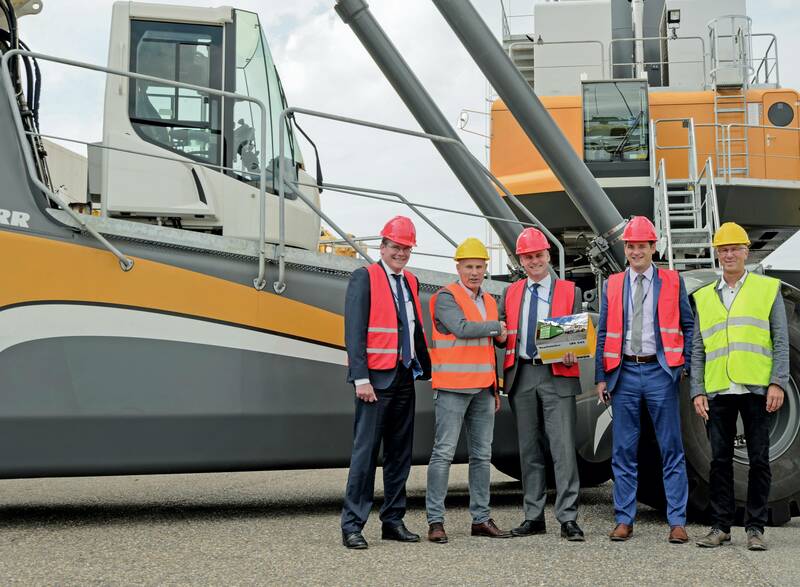 Kloosterboer opted for a new Liebherr mobile harbor crane type LHM 550, providing a maximum lifting capacity of 144 metric tons and an outreach of up to 54 meters. The Liebherr software tool Advanced Container Control, which is a part of the Liebherr Cycoptronic, is installed together with the Soft Touch Down system. Both software features support the crane driver while unloading container quickly as well as smoothly – perfect conditions for the handling of sensitive cargo like bananas or other fruits.